If your looking for some geeky art for your geeky apartment, then check out this fun Roswell Alien Plaque. 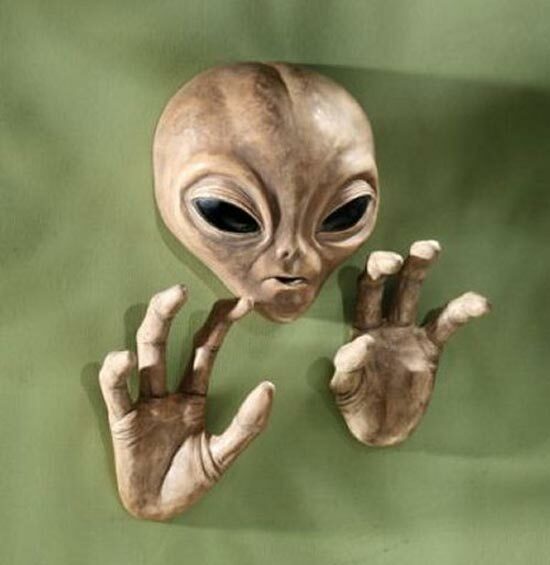 Add it to your wall and all your friends will think you have captured an alien, it comes in three pieces so you can position this fun aliens hands any way you want. It would also be great for scaring off unwanted alien invaders, as they will think you have captured one of their mates, and you are not to be messed with. The Roswell Alien Plaque is available for $34.95 from Design Toscano. Nerd Approved, via Foolish Gadgets and Slippery Brick.